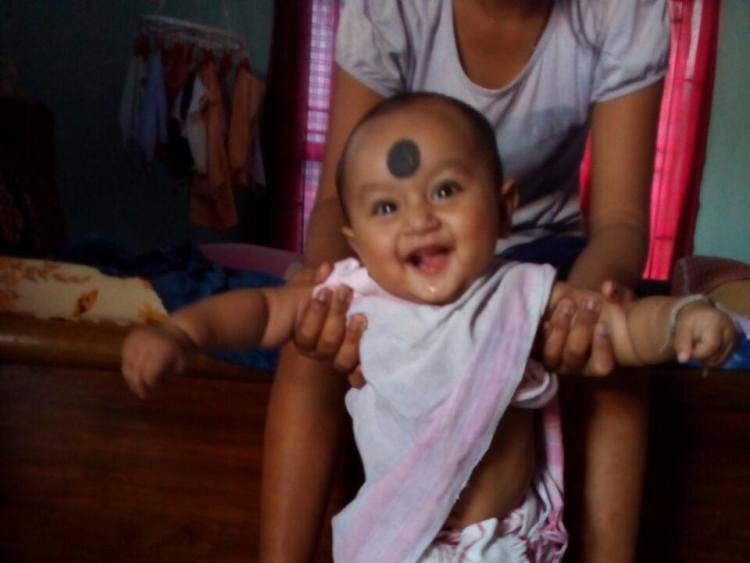 Just a month ago, 16-month-old Aaditri seemed completely normal. Now, she has traveled all the way from Assam to Mumbai and is very critical, suffering in pain due to blood cancer. 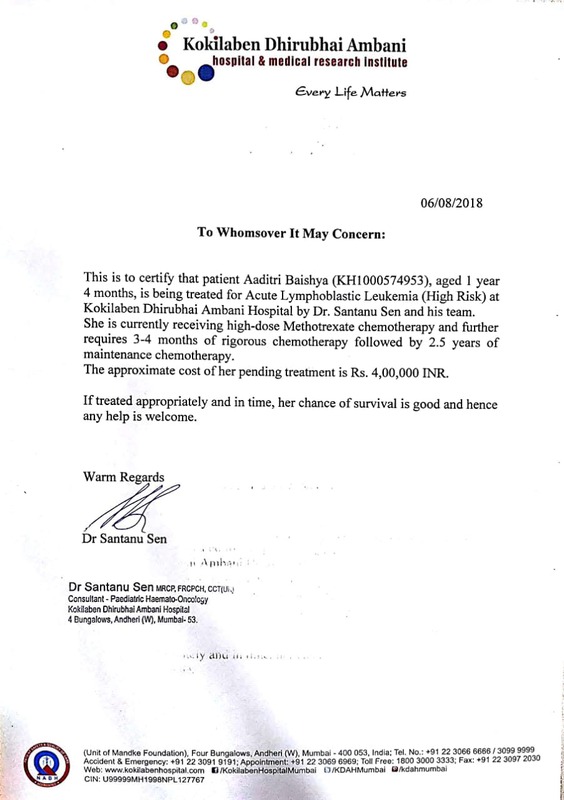 To survive, she needs treatments for the next 3 years and her father, who is an Uber driver back in Assam, has absolutely no idea how to save his daughter. 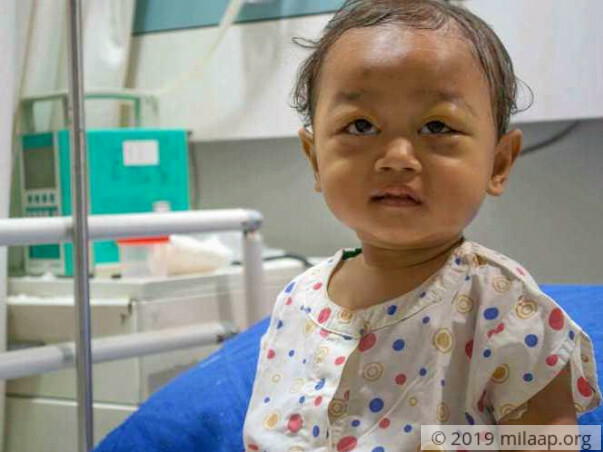 Less than 2 weeks ago, in February, Aaditri’s bags under her eyes started swelling up and she started developing black spots on her head and throughout her back. 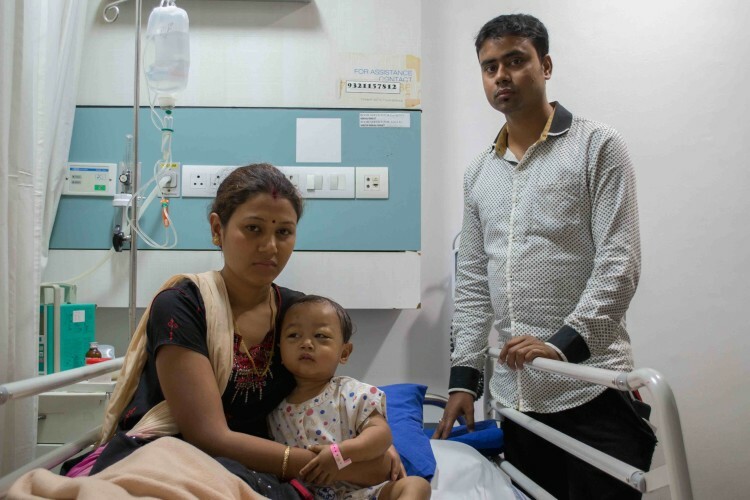 After performing blood tests back home in Guwahati, Nayan, Aaditri’s father, was crushed when he found out that his 16-month-old daughter had Acute Lymphoblastic Leukemia (A.L.L.). A.L.L. is a type of blood cancer that spreads rapidly and if untreated, it can prove to be fatal very quickly. To get her the best treatment possible, Nayan decided to get her to Mumbai. After coming to Mumbai on 28th February, Aaditri’s condition had worsened and she is now, very critical. 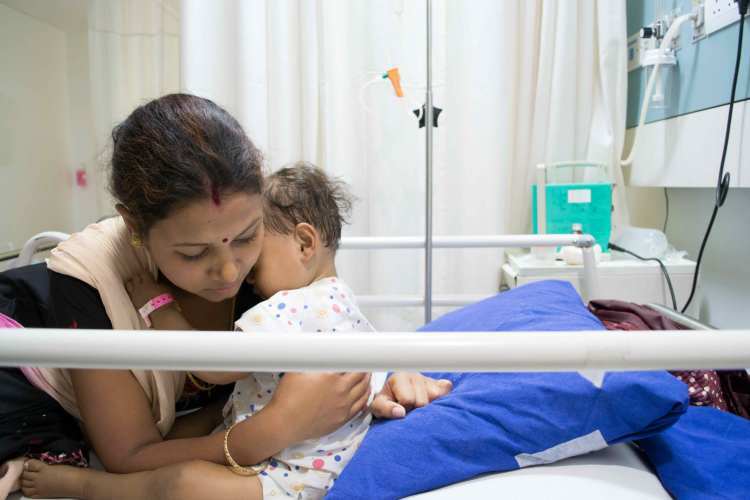 Nayan and his wife, Kavita, received yet another blow when they found out that to survive, their baby would not only need intensive chemotherapy for the next 6 months but also other treatments for the next 2 and a half years. Aaditri needs to undergo a high dose of chemotherapy immediately. All this is way above Nayan’s reach and he has no idea how he’s going to provide for his 16-month-old daughter’s survival. “As her father, I can’t describe what I’m going through. I had so many dreams of the things I wanted to make her do, but it feels like all of them have been snatched away. It really is heart-breaking and I feel that it’s no unfair to her but I have to remain strong for my wife and Aaditri.” – Nayan, while weeping. This is perhaps the first time Nayan and his family have stepped out of the state of Assam. 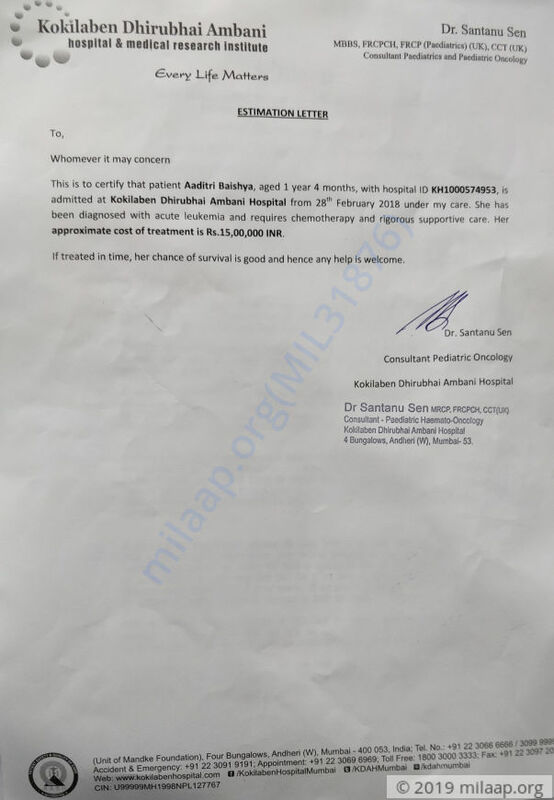 Not only are they extremely vulnerable because of Aaditri’s condition but to complete her treatment they would need to stay in Mumbai for a minimum of 6 months. In addition to this, Aaditri also needs more than 2 years of additional treatment based on how well she is doing after 6 months. Providing for 2 years is a hefty load that Nayan simply cannot afford even if he worked for a decade. In Guwahati, Nayan works as an Uber driver where he earns around Rs. 5,000 per month. While he’s still worried about the large sum of money, he doesn’t really have anyone he can ask. His relatives are helping him but combined, they’re still nowhere close to the amount Nayan needs to give his baby the life-saving treatments. The total cost of 6 months of intensive chemotherapy and 2 and a half years of treatments is estimated to be around Rs. 15 lakhs, which is way beyond what Nayan and his family can afford. Nayan has very little saved and now, he has nothing left. He needs your support to help save his daughter. 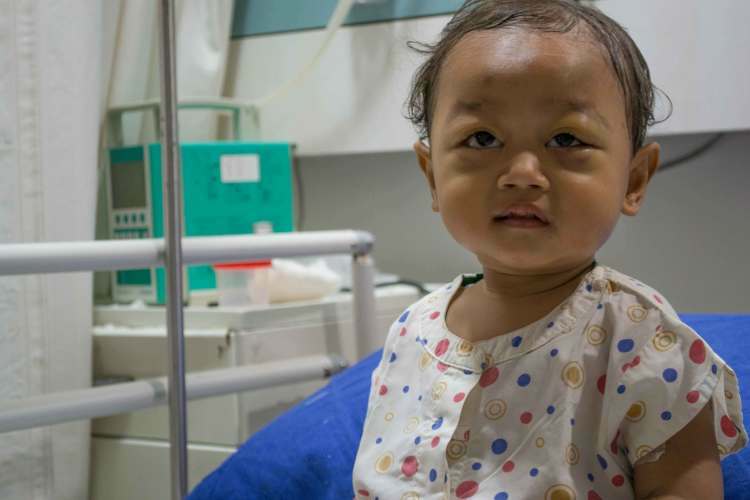 16-month-old Aaditri’s life has turned upside down in a matter of weeks. She is very critical and suffering from a severe form of blood cancer. She needs chemotherapy and additional treatments to say alive but her father has nothing left to save her. He needs your support to help his daughter live. Your contribution will save 16-month-old Aaditri. Aaditiri is doing well now. She will be finishing her last cycle of intensive chemotherapy in another 4-6 weeks. Once she is done with the chemotherapy, she will go on maintenance. This is her 8th month of chemotherapy. We are very grateful to you all! Thank you for the love and support. She is doing very well and has a last run of intensive chemo of 1-2 months pending before she goes on maintenance chemo which she will be taking at her home town. Thank you all for all the blessings, prayers and timely help! 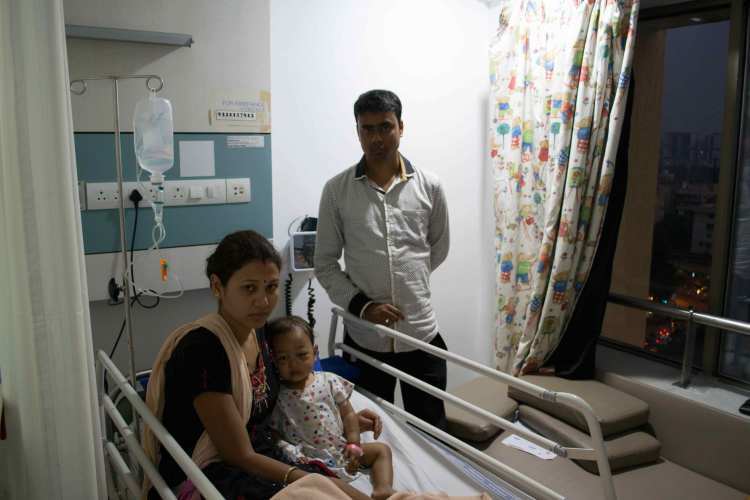 Baby Aaditri got readmitted in the hospital as she was not responding well to the treatment back home. She is now receiving a high-dose Methotrexate chemotherapy and she further requires 3-4 months of rigorous chemotherapy which will be followed by 2.5 years of maintenance therapy. If the treatment is done in time, there is a good chance of survival for her. Hence, we're increasing the goal amount and restarting the campaign. The family needs your support, we request you all to please share the campaign in your family and friends.